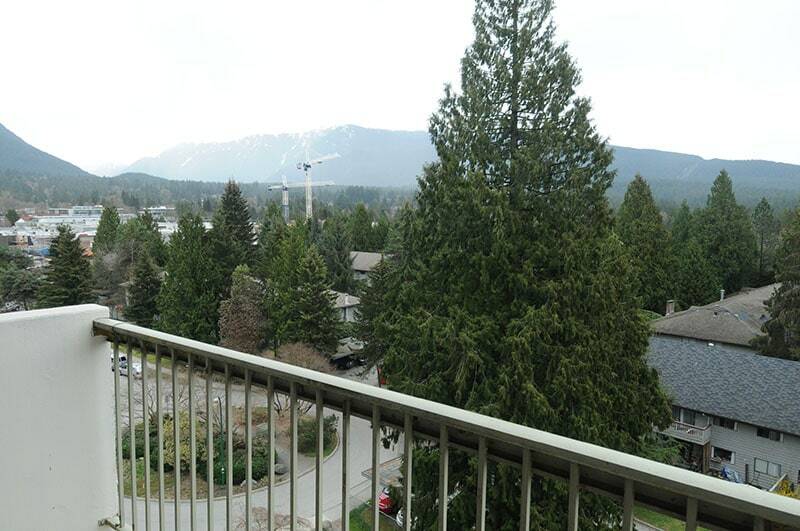 Conveniently located in the heart of Lynn Valley, Lynn Manor is a 16 storey high-rise with incredible views of the surrounding mountains and ocean inlet. Residents have easy access to community amenities including shopping and services that are located within a short walk. Lynn Valley Shopping Centre is across the street and the library and recreation centre are nearby. There are many parks and walkways to enjoy throughout the neighbourhood. 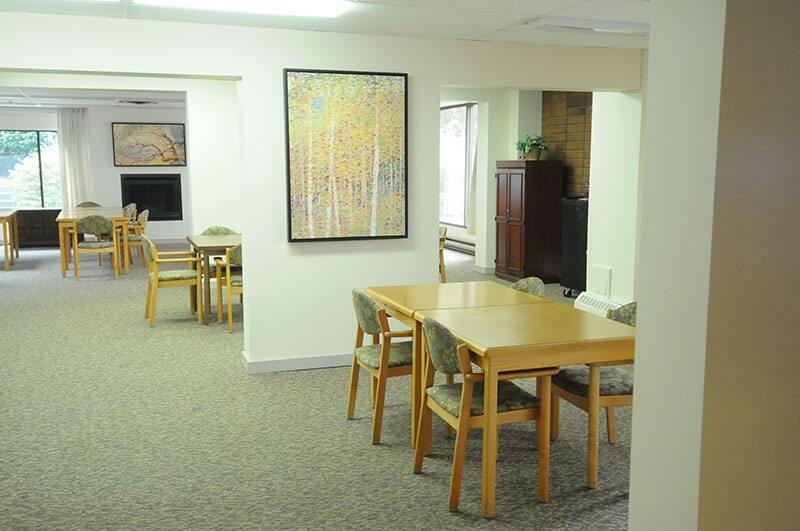 Lynn Manor offers 205 suites including a guest suite for visitors. 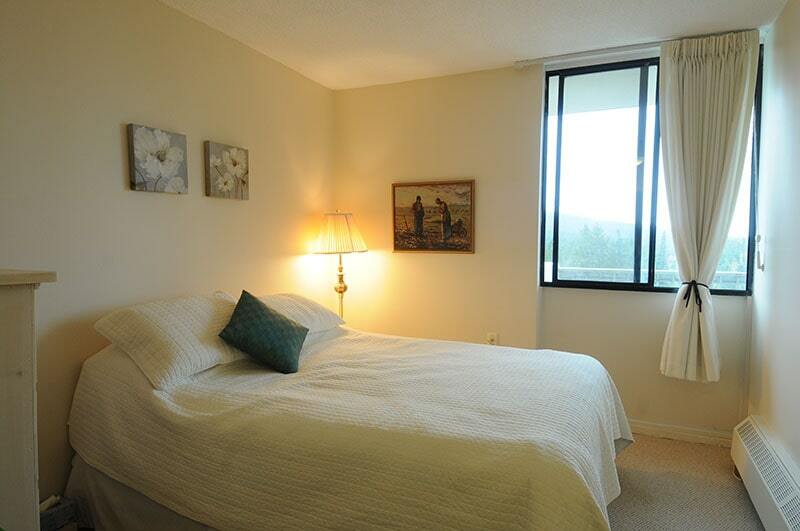 There are a variety of bachelor and one bedroom suites to meet everyone’s interest. Every suite has a balcony to enjoy the North Shore views. Suites are equipped with refrigerators and stoves, and the bathrooms have either a tub and shower or walk-in shower. 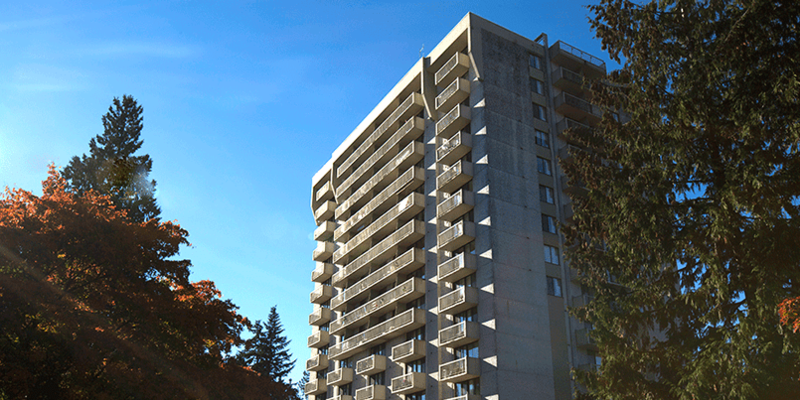 Storage lockers and limited onsite parking are available for residents. There is also a storage room for scooters and bicycles. The penthouse level offers a kitchen, library, billiard and shuffleboard areas, hair salon and a roof deck for walking or admiring the views. 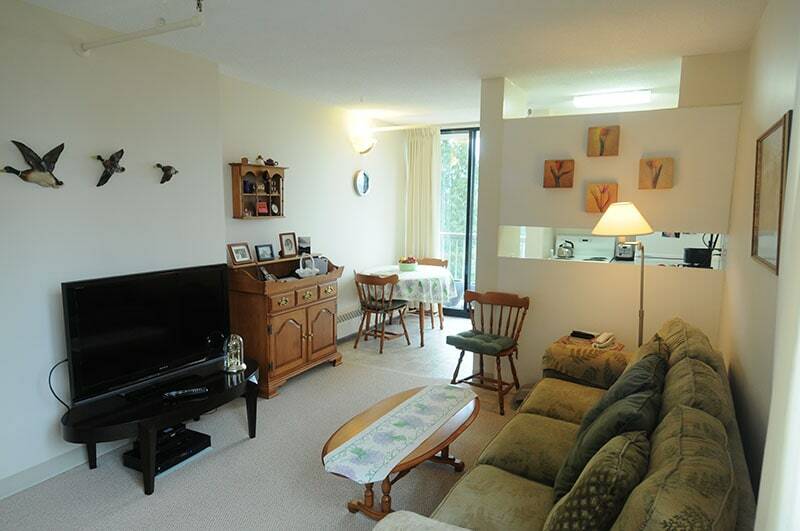 The main floor offers a Multi-Purpose Room with a kitchen for social activities and exercise. Residents enjoy a vibrant social community with events every day such as crib, bridge, billiards, bingo, happy hour and frequent bus trips to outside activities. The community garden offers residents an opportunity to grow their own flowers and vegetables. Residents also host summer barbecues and rummage sales.